Enjoy low, fixed rates on your mortgage from people you trust. An LGFCU Fixed-Rate Mortgage is a smart solution to help you purchase a new home. This loan features a fixed principal and interest payment for the life of the loan, with terms of 10, 15 and 20 years available, and no private mortgage insurance required. Monthly and biweekly repayment options are available, making this a truly affordable option for homeownership. For the purchase or no cash-out refinance of a primary residence, 100 percent financing is available up to a total purchase or refinance price of $400,000. Members may finance more by putting down at least 10-20%. Most refinanced mortgages may be closed in your local branch with reduced closing costs. For purchases, maximum financing and loan-to-value financing tier is determined based on the lesser of the sales price or appraised value. The rate is subject to change daily. The application rate may be reserved for 60 days. Vacation homes and rental properties are also eligible for our Fixed-Rate Mortgage. Any property you purchase with an LGFCU mortgage must be located in North Carolina, South Carolina, Virginia, Georgia or Tennessee. 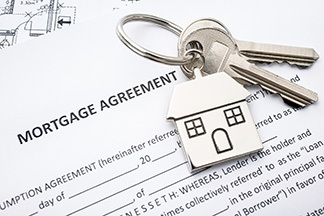 Costs or fees may arise during the mortgage loan process. At the time of application, your Credit Union loan officer will provide a good faith estimate of all settlement costs involved with the mortgage process, such as appraisal fee, origination fee, attorney fees, recording fees, title insurance costs, and survey and pest inspection costs (typically not required.) The origination fee is .75 percent of the loan amount with a cap of $1,500. Choose a way to request your fixed-rate mortgage.